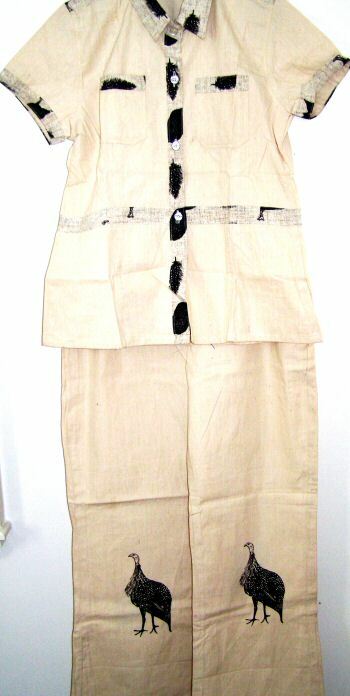 Cream pant set is 100% heavy cotton and is made in Tanzania. Shirt measures 15″ from shoulder to shoulder and 19″ across chest and 26″ from shoulder to hem. Has 2 front chest pockets. The elastic waist flair leg pants measures 15″ relaxed and 38″ fully extended. They are 40″ from waist to hem with a 29.5″ inseam.